There is no other Houston siding contractor you can trust more to make over your home with this beautiful, durable, siding product. James Hardie® siding has what it takes to stand up to all the elements Houston weather will throw at it. Unlike wood-based siding products — which may rot, curl, warp or split from extended exposure to moisture — James Hardie® siding products resist the harshest weather conditions. The dependability of James Hardie® siding products in a variety of weather conditions also helps prolong the life of the siding. James Hardie® siding has been proven time and time again to beat vinyl and wood siding in fire resistance tests. When flame, wind, rain, pests, and UV levels are at their worst, James Hardie® siding products deliver lasting durability and protection for your biggest asset. There’s a reason James Hardie® siding has been featured on ABC’s Extreme Makeover: Home Edition: its beauty! The siding can resemble various textures such as wood, stucco, vinyl, or cedar, and come in many different style and siding color options. If you’re looking for a remodeling project that can increase the value of your home, there is no better option than wrapping it with beautiful, durable James Hardie® fiber cement siding. Hardie Plank® lap siding comes with a 30-year non-prorated, transferable, limited warranty. There’s a reason James Hardie® siding products can be found on over 5.5 million homes in North America alone. As a JamesHardie® Preferred Remodeler we offer the full complement of James Hardie Siding products. 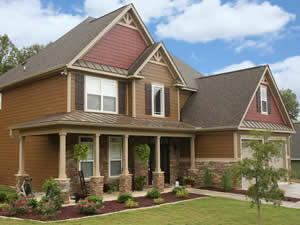 Add James Hardie® Siding your home. 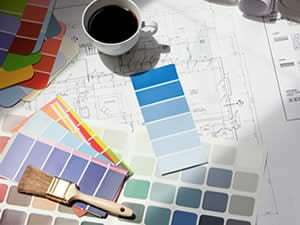 Looking for siding that will look beautiful for years, even as the Houston sun beats down on it? Best Investments carries James Hardie© siding with ColorPlus© technology, which can offer 30% better fade resistance than other painted siding. Is your siding standing up to the Houston Climate? HardieZone™ 10 siding is designed to repel heat, humidity, precipitation, salty sea air and hurricane-force winds.